If you’re looking into completely migrating your company to fax to email there are certain terms you might come across that you might find slightly confusing. 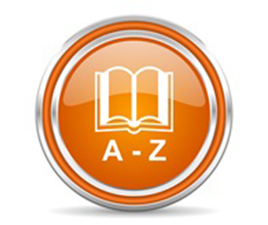 Today we shed some light on these terms, to help you have a better understanding. The Health Insurance Policy and Accountability Act requires healthcare providers to handle their patients’ health information confidentially. Email fax providers that comply with this act usually have user authentication and encryption features to protect patient information like medical certificates for example. This is a standard feature with most fax to email providers. This means you will be able to save faxes in order to save a record of fax correspondence online without having to print and physically file the messages. This means your signature captured in electronic format. This form of signing documents is recognised legally in most countries. This is a great thing to implement in your business to make your communications paperless. When this is mentioned as a feature by fax to email providers, it means that you will be able to authenticate you emails by “dragging and dropping” your signature into an electronic document. FoIP stands for fax over internet protocol. It refers to sending fax messages through a VoIP (a technology that allows you to make phone calls through the internet) network. 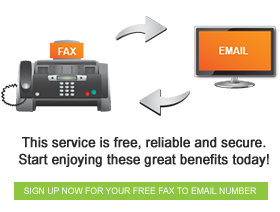 Fax porting is simply changing fax to email providers but still retaining your current fax number. Depending on the provider you are porting from, this should be a relatively easy process. This can come in handy when you are moving your business offices to another location. There will be no reason to lose contact with your current customers.